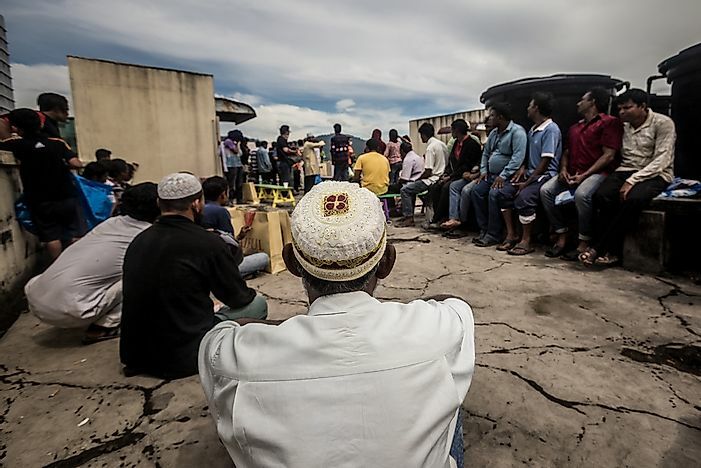 Rohingya refugees are seen here in Malaysia. It has been estimated that up to 140,000 Rohingya people have been displaced in recent years. Photo credit: Abd. Halim Hadi / Shutterstock.com. What has been described as government "clearance operations" has been forcing thousands of people in Myanmar to flee from their homes. The people, who belong to Rohingya minority group, are being targeted as part of the aftermath of a clash that occurred earlier this week. On August 25, 2017, conflict between authority and Rohingya militants resulted in the death of 12 security officials. The relationship between the Rohingya people and the government of Myanmar has longtime been tumultuous. In 2012, the Rakhine State riots saw major conflict between Rohingya Muslims and ethnic Rakhines. For generations, the Rohingya people have not been allowed citizenship by the government of Myanmar, who say that the Rohingya are illegal immigrants from Bangladesh. The Rohingya have been called the "most prosecuted people in the world". In villages whose residents are predominantly Rohingya, buildings are reportedly being burned.The government of Myanmar says that casualties so far include 77 alleged militants as well as six civilians. In 2015, the Rohingya experienced a large refugee crisis when they were forced to emigrate from Myanmar in mass numbers. Many landed in other southeast Asian countries by boat. It has been estimated that hundreds of refugees died while making the migration. Human rights groups and experts have called on the United Nations as well as governments of world powers to pressure Myanmar to commit itself to the protection of human rights. Zeid Ra'ad al-Hussein, a top UN human rights official, has called on Myanmar to "ensure its security forces refrain from using disproportionate force."